Attended by thousands, the recently concluded Lamudi Housing Fair was a huge success. MANILA, 23 November 2016: Property portal Lamudi Philippines’ first foray in gathering together various real estate movers and players in the country today reported successful returns in sales and attendees. 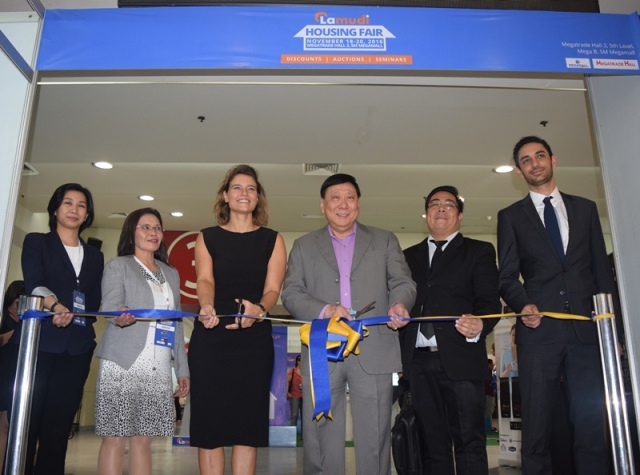 Held last November 18 to 20 at the Megatrade Hall 3, SM Megamall, the recently concluded Lamudi Housing Fair, was opened by PRC Board of Real Estate Service Chairman Dr. Eduardo G. Ong. “The event offers great opportunities for homebuyers and well participated by real estate players,” shared by Dr. Ong as he welcomes guests and the press in the first day of the three-day event. One major partner, My Saving Grace Realty & Development Corporation, generated a total of Php25 million worth of properties sold during the event’s property auction. “This proves that many Filipinos are appreciating the saleability and investment yield of foreclosed properties and we are now seeing a new trend in real estate buying in the form of property auctions,” said Jacqueline van den Ende, Managing Director of fair organizer Lamudi Philippines and MyProperty.ph. The fair was attended by more than 2,500 visitors comprised of interested homebuyers, investors, property bidders, and seminar attendees. Other event highlights were the full-house investment and homebuying seminars conducted by industry experts and the discounts offered by various developers and other real estate related companies. Lamudi Housing Fair seminar rooms were full-house during the three-day event. Colliers International Philippines Research Manager Joey Bondoc talked on current market conditions and where the biggest investment opportunities can be found. He also discussed his outlook regarding the most profitable real estate locations in the Philippines. Joanne Almaden, CEO of Philippine Property Expert, talked about a hot topic: investment guide on pre-selling condos.